An excellent visit to Illy HQ in Trieste this morning with Francesca Marchi of the AREA Science Park and Nils Duelfer of A.T. Kearney who is an associate involved with the Improve Academy which works to improve the management of the sustainable innovation performance. We were very fortunate in that Francesca had arranged for us to meet with the Corporate Director for R&D, Mr Furio Suggi Liverani. Mr Liverani spent a good deal of time with us relating the fascinating story of the development and growth of Illy over the past eight decades. Established in 1933 by Francesco Illy, the company is a testament to the power of continuous and pioneering innovation underpinned by a passion for science, research and knowledge. 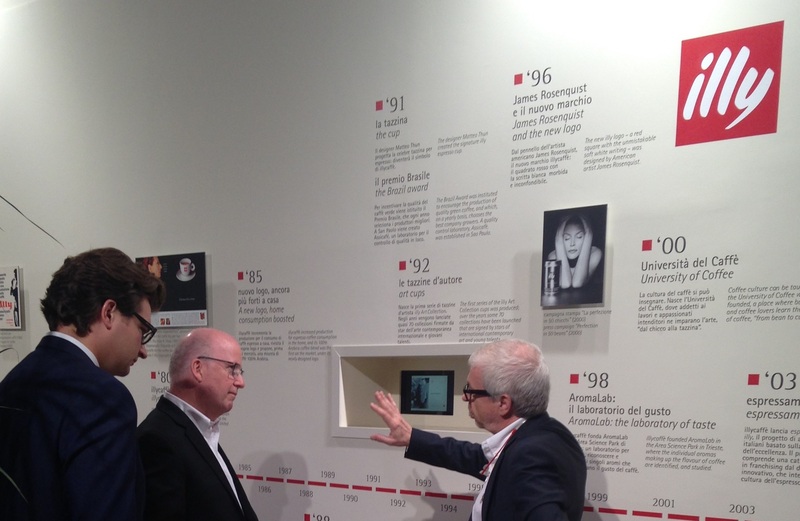 Illy achieves the highest possible product and service quality through an enduring commitment to user-centred design. The end customers' experience of the coffee they produce lies at the heart of everything they do. 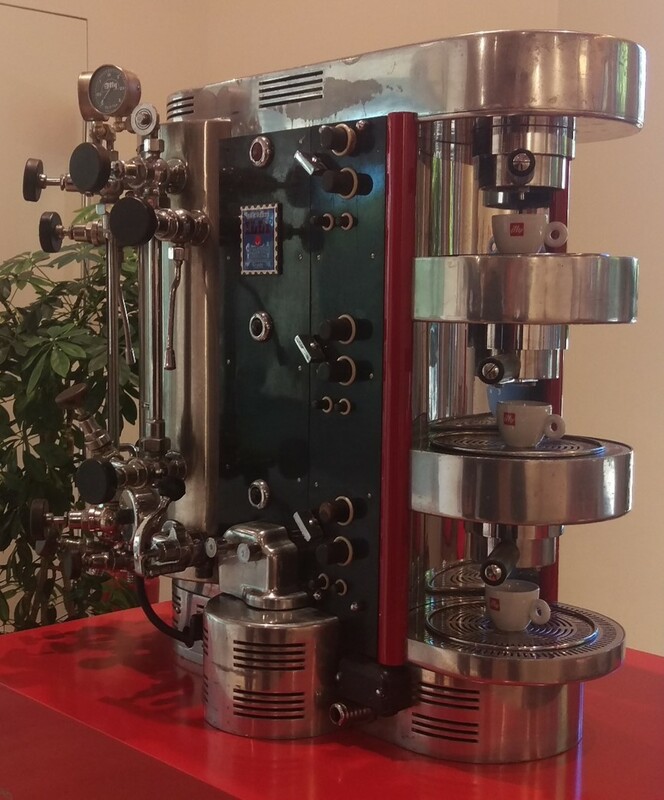 In 1935, Francesco invented the Illeta - the precursor to the modern espresso machine. Its submarine-like aesthetic derives from the fact that the piping and valves was indeed developed with the support of submarine engineers who worked in Trieste's shipyards. Due to his revolutionary method for preserving coffee, taste and aroma through 'pressurisation' packaging, for the first time, it became possible to guarantee a balanced flavour rather than a burnt and bitter one. And significantly for business growth, it also meant that it became possible to export. 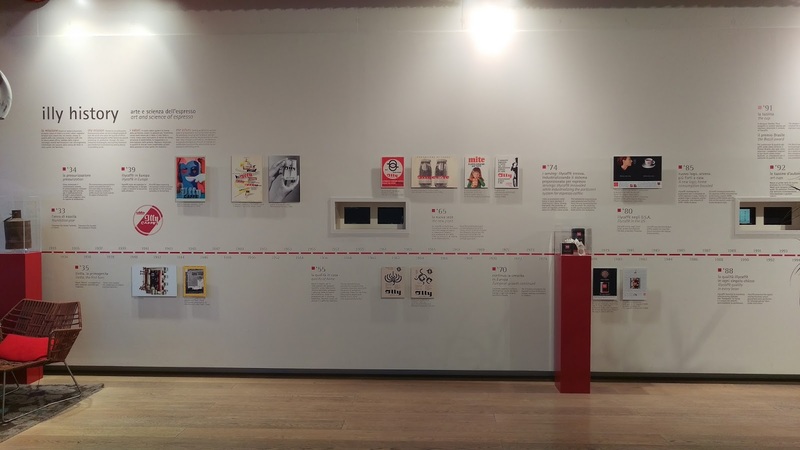 Created by the pop artist James Rosenquist in 1996, the current version of the logomark is distinctive and instantly recognisable. 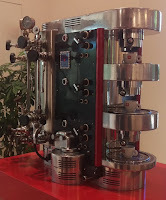 Its more mechanical and straight-laced predecessor is shown below on the 1974 packaging of the innovative vacuum packed ESE coffee system (Easy Serving Espresso). 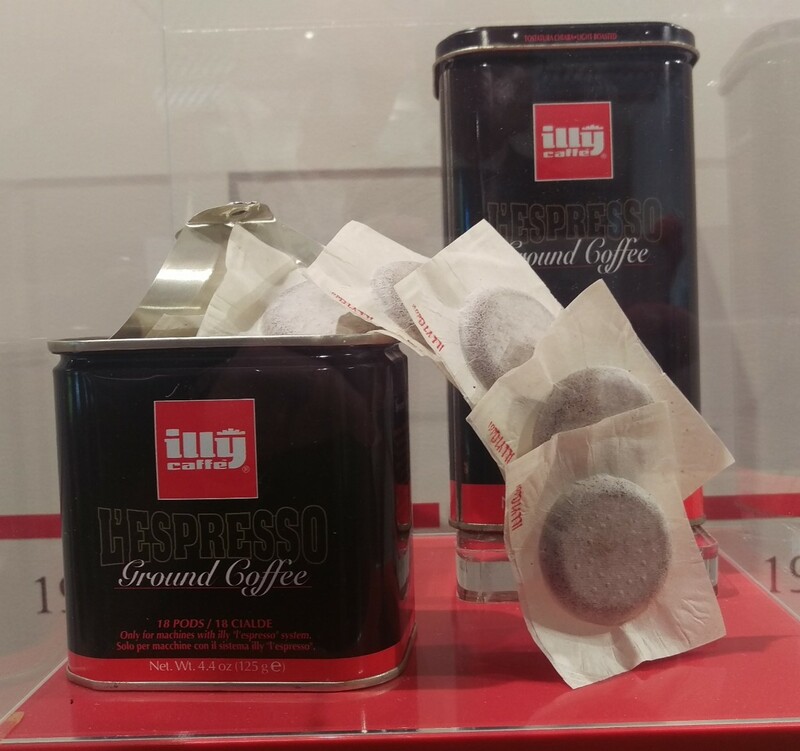 This too was revolutionary as it suddenly allowed delightful espresso to became available to customers everywhere - whether at home, in the office or at their favourite restaurant or café. My thanks to Francesca and Mr Liverani for a fascinating and compelling visit.